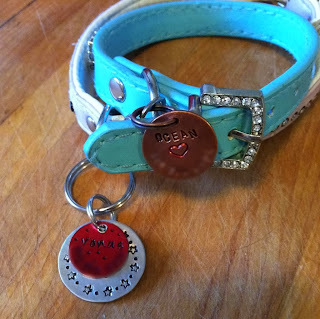 Having an identification tag for your pet is part of being a responsible pet owner. 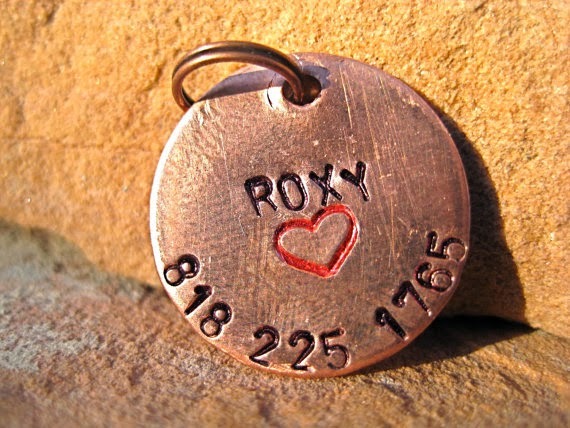 There are so many options to ID your pet, but none quite as classic and easily identifiable as the dog tag. Having a chihuahua (or two) makes finding a small enough dog tag a bit difficult though. In the past we've found small tags but once they're on a ring and hanging from a collar, one of the chi's is tripping over it or walking like a constipated duck to avoid tripping over it. It's just a bother and we end up not using a tag at all. We received one tag for each of the chi's. Ocean got The Roxy and Venus got The Comet. Please note: as much as I love you all, I have blurred out my cell phone number from the girls' tags. I just don't trust the creepers out floating around the interweb enough to post it on my blog lol. Thanks for understanding! I found our MODPawed tags to be beautiful, classy, and durable. I love their customization as well as their extensive design offerings. 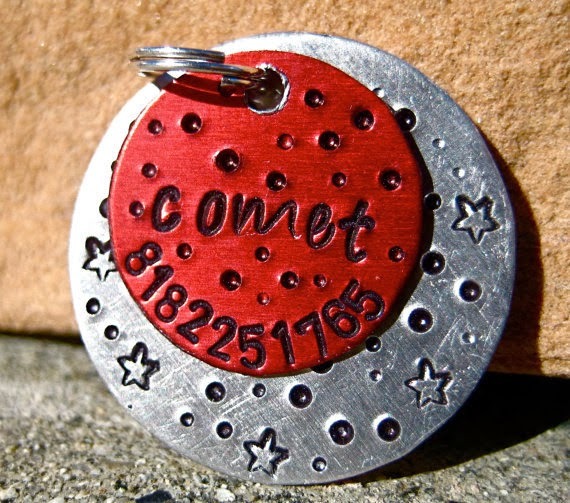 My heart about melted when I saw The Comet for the first time. How fitting for a dog named Venus, don't you think? 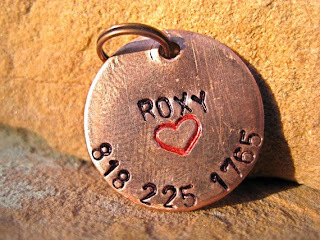 The Roxy looks so petite but the nice copper lets you feel that it will last. I found it to be the absolute perfect size for Ocean, and looked beautiful with her coloring. The only thing they need now are new fancy collars! Hmm... I see another Christmas gift in their futures. Honestly though, I am so overjoyed that I came across MODPawed and had the pleasure of working with Leo. It's not often you find such detailed and beautiful handmade items! You can purchase MODPawed's tags, or contact Leo for a custom holiday gift through Etsy. You can keep up-to-date and stay in touch through Facebook and Instagram as well. A nice giveaway opportunity for you all as well! 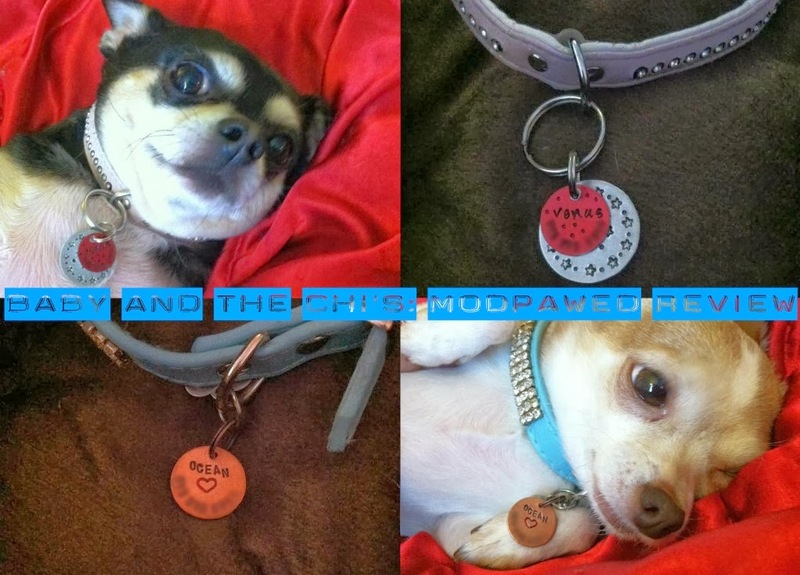 Anyone who follows @modpawed on Instagram is automatically eligible to win a free tag each month! That's right, all you need to do is follow @modpawed and you are automatically entered to win a free MODPawed tag, every month they are running this promotion! Awe, they are really cute indeed. If I had a dog I would love to get one for him/her, definitely. And they look quite strong for such small pieces. My neighbor would love these for her dog-child. They are so unique. Those are absolutely adorable. I love that they look so hand crafted and unique! They do very nice work. 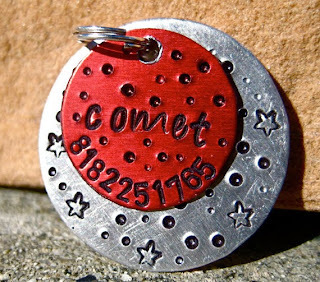 I really liked the one for "Comet." Forgot to add that for $14.75 I think they are a really great price for something unique. Those are cute. Nice work! What an adorable idea! These would look great on my furbabies!!! Adorable! And love that they're hand-made. Will definitely be checking them out! Adorable! I love that they're hand-made. Will definitely be checking them out!